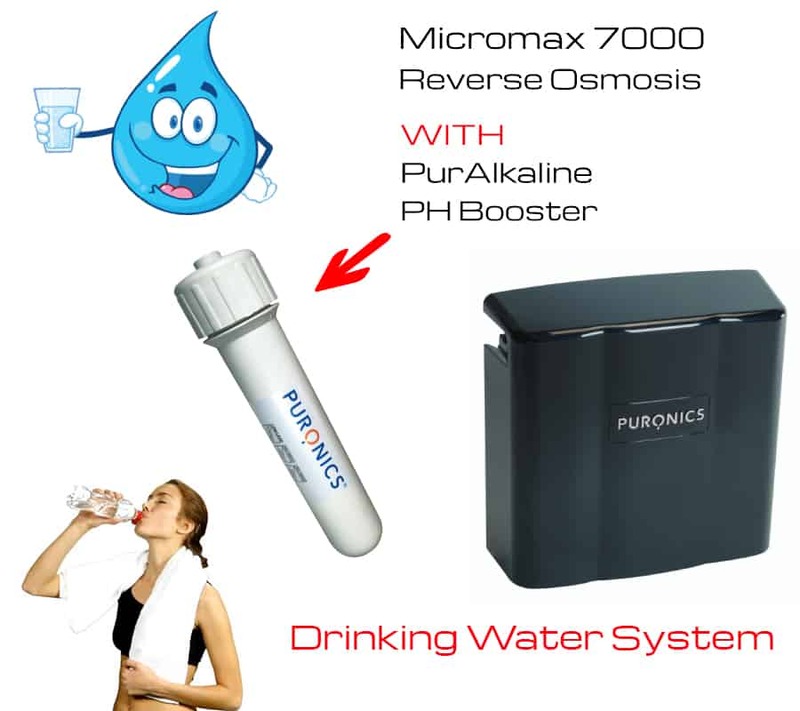 The Puronics Micromax is a Reverse Osmosis Drinking Water Filtration System. Reverse Osmosis (a.k.a. RO Water) is an ultra purified filtration system which produces exceptionally clean drinking water. The filtration system is so good in fact, that it strips out everything including the Minerals and Alkaline, so Orbit provides the Puronics PurAlkaline Cartridge to revitalize the water with proper PH and Alkaline levels.